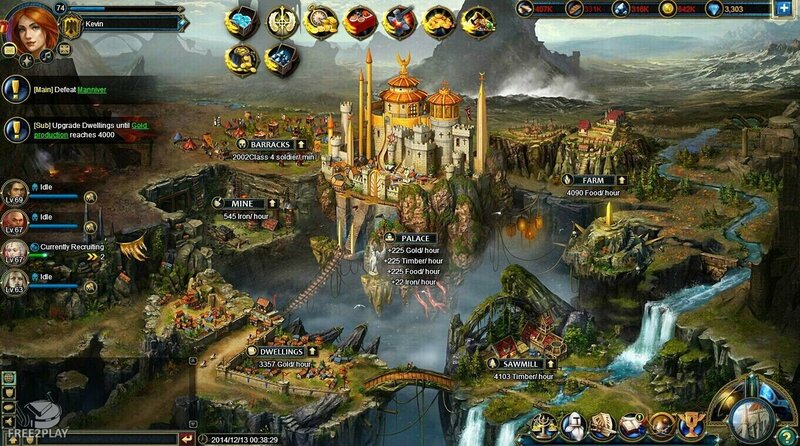 Siegelord is a free-to-play medieval fantasy MMO that takes place in a continent divided by a conflict between three nations, in a battle of resources and conquest as each nation seeks to rule the entire continent alone. Players begin their adventure being a Lord whose city has been looted by a rival faction, which will force them to join one of these factions to ensure their survival, but at the cost of antagonizing the other two factions. Siegelord does not require any downloads, and is available through any Internet browser. Siegelord has two distinct playstyles; one focused on building cities and another focused in fight in real time combats. In the first one we can build all sorts of buildings that produce resources, train units, or improve the stores to gain access to other items. In the combat mode our main objective is to recruit and train troops, unlock generals, and fight enemies in an extensive PvE campaign, or fight against players from around the world. 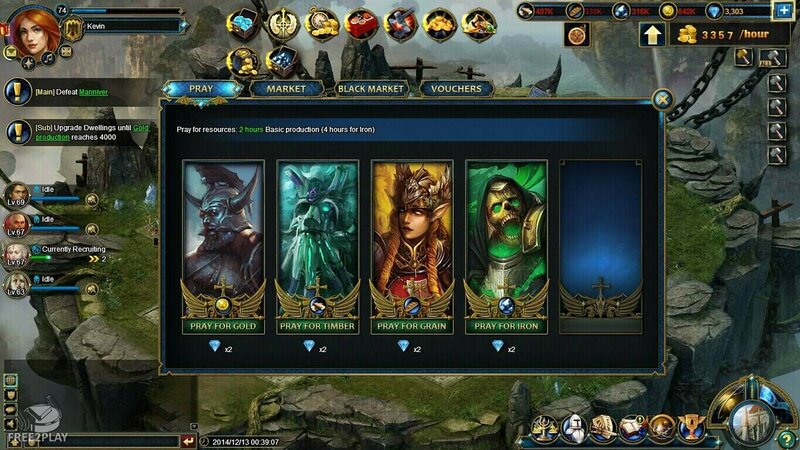 The game focuses on acquiring currency to purchase various items within the game as well as acquiring XP to level up and make your Lord and their respective holdings stronger whilst unlocking more in game features. Kingdom of Albion - This prosperous nation has used its coastal cities and its ports to have an impressive commercial network, which gives its members more items in its stores. Empire of Gorm - Formerly the biggest faction of the continent, and although its strength has been reduced considerably, those Lords who fight on their behalf will have shorter waiting times at the store. A key component of any army are the generals who lead its troops; When an enemy general is defeated players can recruit him, paying gold to buy their loyalty. The generals have unique features that make them very useful in combat, as for example unique maneuvers, that allow your troops to perform better in battle such as having bonuses for engaging in combat on a specific terrain type or when conducting a particular type of attack such as a Siege maneuvers. Generals can also be equipped with all manner of gear, from armor, weapons, boots, gauntlets, rings and mounts, each piece of equipment will bolster the General who in turn will improve the quality of the troops that they command. Each type of an item can come in various qualities ranging from white/common items through to blue, yellow, red and finally purple items which are the rarest and highest quality; though any item of yellow quality and beyond has extra skills attached to the item for a Generals use. In the game we will fight other players in a war for territory; constantly shifting borders where players take control of new territory and reclaim lost territory in an endless exchange. Players can work together to devise larger strategies to battle the enemy factions and reap the rewards of war in resources, currency and XP. Those players that become champions of PVP and climb up the player rankings can even earned the position of King.